Quite a delay posting these pictures but better late than never. 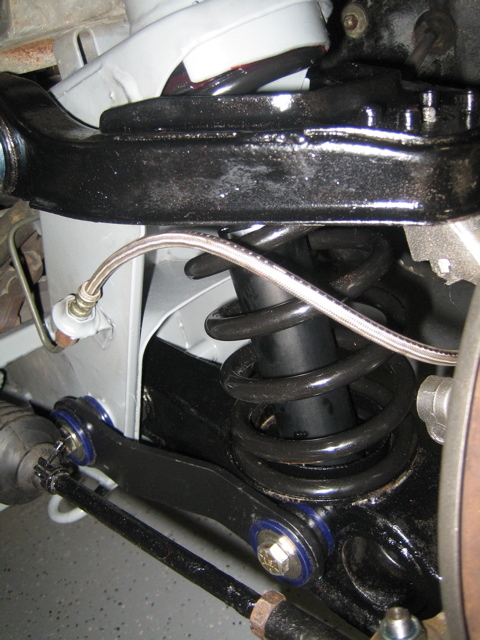 This is the remainder of the suspension job that was finished along with the front frame rust repair and the rear suspension shock replacement. See the previous two posts regarding paint and touch up techniques used. 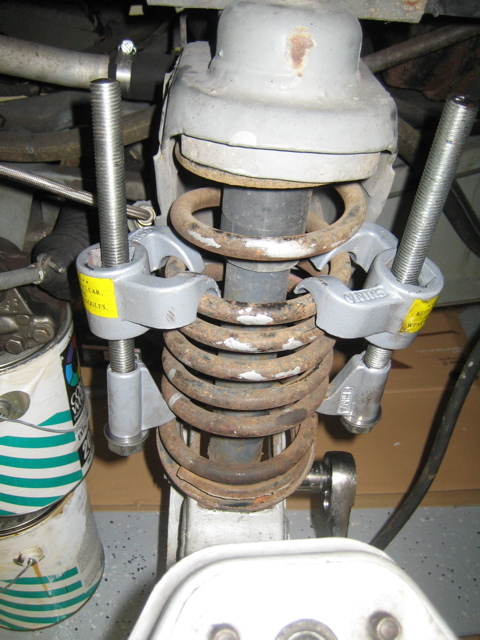 When compressing the front springs I recommend Harbor Freights compressors on the sides along with a third compressor from Autozone (with a wider grip on the hooks) in the front for added safety or a chain. 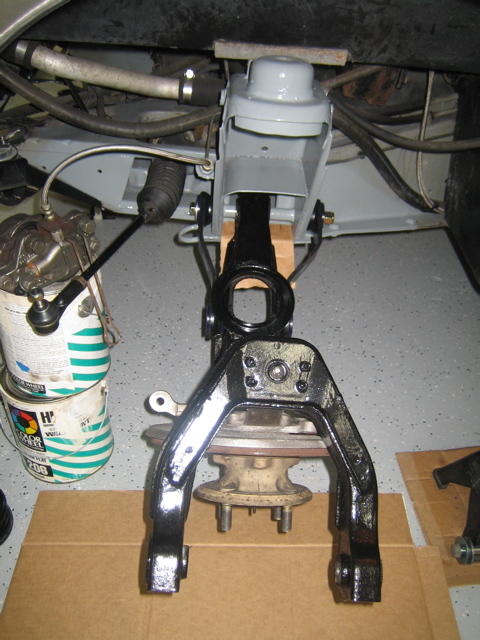 Control arms and hub were taken off as one piece and painted. 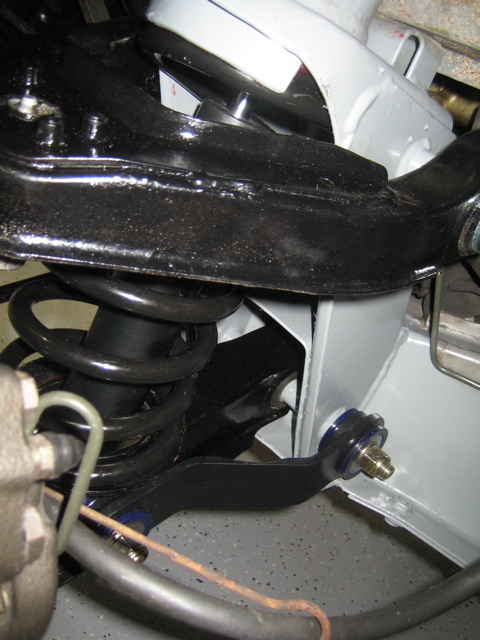 Upon reinstall I added DMC Europes lower control arm reinforcing brackets. 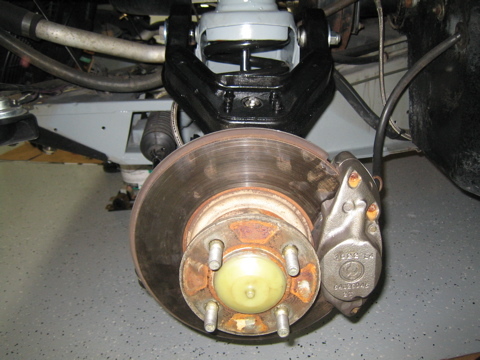 They definitely make the car feel more solid, especially in turns and stopping. 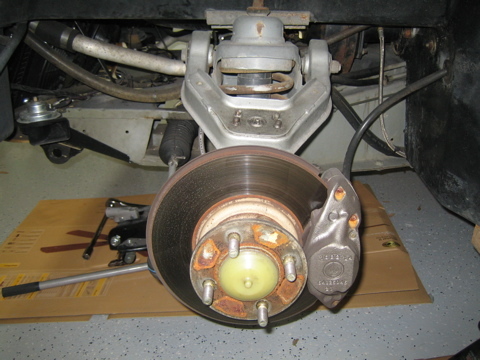 I highly recommend adding them if you are already taking apart your front suspension. Some before and after shots once everything was reassembled. And a few more pics of everything cleaned up and painted.